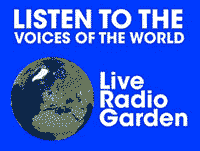 Sounds great, is now updated to a 128k stereo MP3 stream. It plays a random loop of every BipTunia song, ever. Updated with the new songs on each album. 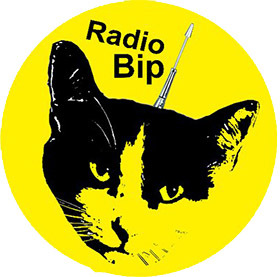 Want a few stickers of the Radio Bip cat at the top? email us Email us with your name and address and how many you’d like. into any browser to get to this page. That’s memorable! Try clicking on it here. We have a free Android play app for the streaming feed. Get it and listen non-stop to every BipTunia song ever, on a random loop! Updated when we have a new song or album! Q. Where can I find BipTunia? Q. How can I contact BipTunia? Q. What does the name “BipTunia” mean? How should I pronounce it? There are two correct pronunciations. One has 3 syllables, one has 4. A. It will appeal to fans of Gary Numan, Brian Eno, Pink Floyd, David Bowie, The Doors, Depeche Mode, Jim Carroll, Frank Zappa, Sonic Youth, Robert Fripp, Blondie, The Residents, Kraftwerk, Terry Riley, The Last Poets, Ministry, Velvet Acid Christ, Front Line Assembly, Led Zeppelin, Suicide, Marilyn Manson, Helios Creed, Chrome, Dead Kennedys, Devo, Blue Öyster Cult, Yes, Genesis, Aphex Twin, The Kinks, ELP, Syd Barrett, and Nine Inch Nails. Q. No, really, what STYLE of music is it? A. Hard to say, and doesn’t “fit in a box.” It’s often many styles on an album, and sometimes different styles in the same song. And some styles there isn’t a name for, that I invented.